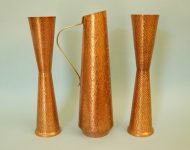 These little vases might not be very large, but they pack a punch in the style stakes! 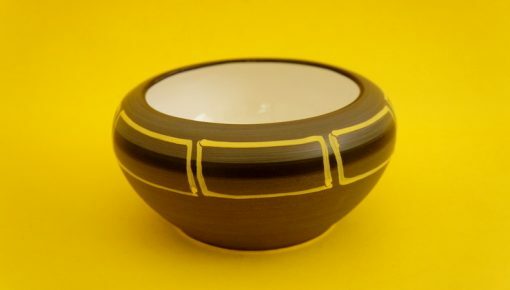 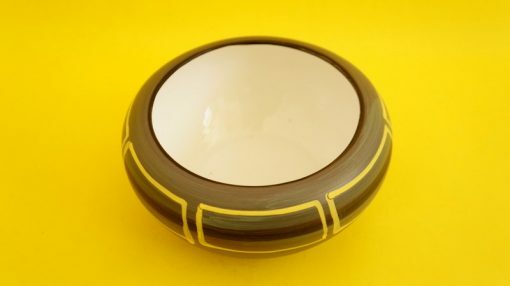 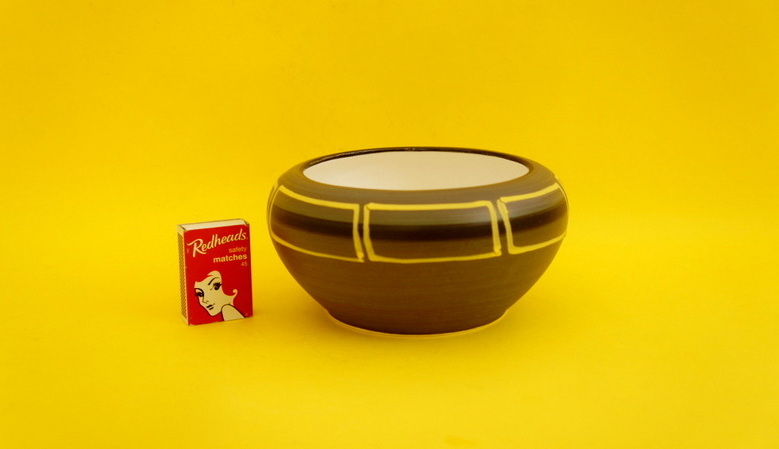 I particularly like the small bowl with the hand painted yellow detail, and crisp white glaze on the inside. 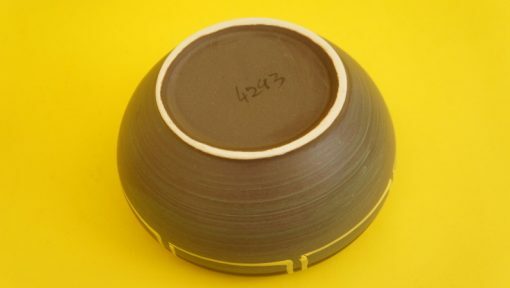 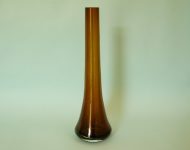 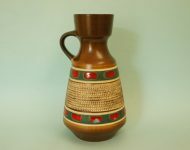 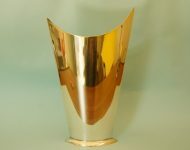 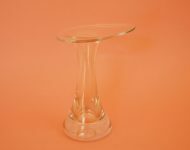 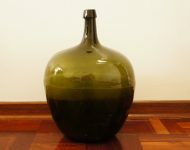 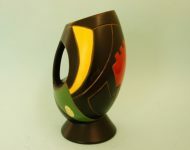 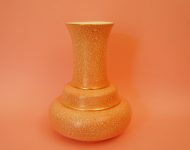 I’m not sure where it was made, but I think a good guess would be Germany, which is where our other small little brown and turquoise vase comes from. 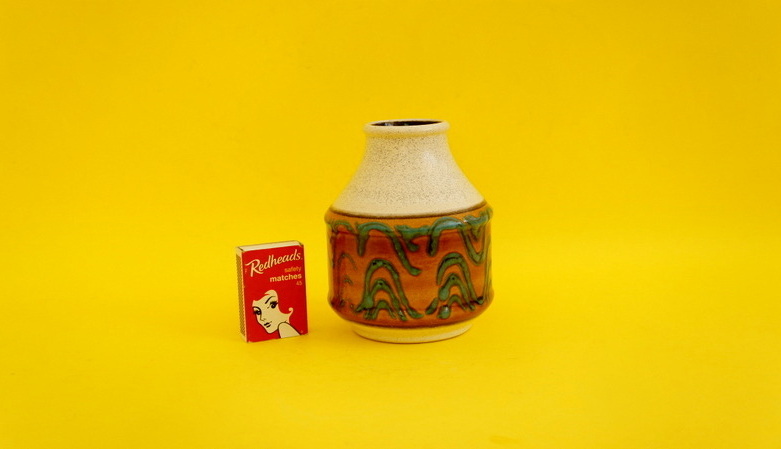 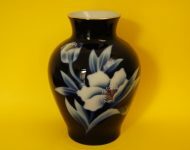 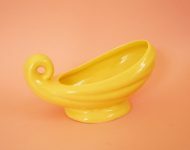 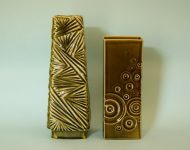 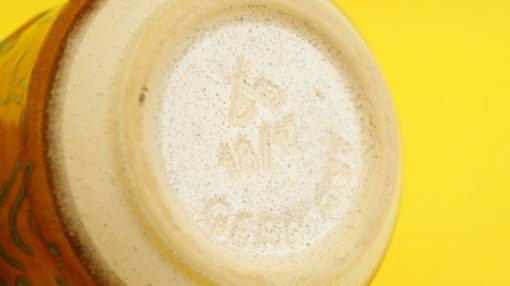 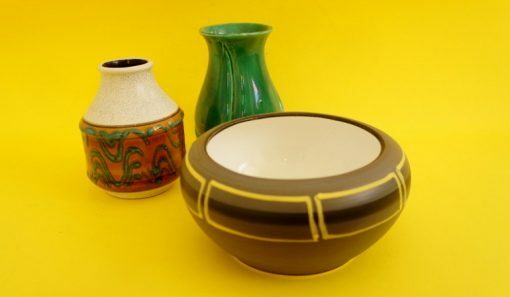 I know this style of pottery isn’t for everyone, but in recent years I’ve developed a real taste for this distinctive style of retro German design! 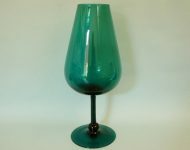 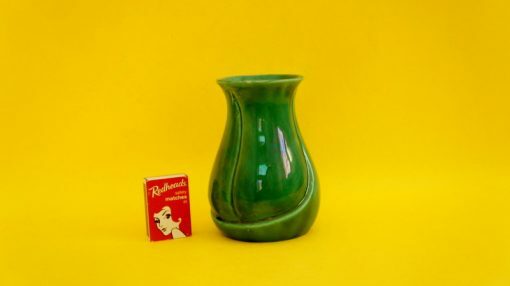 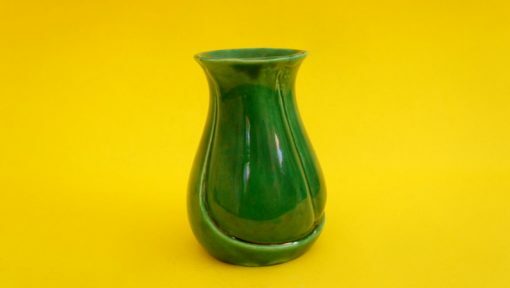 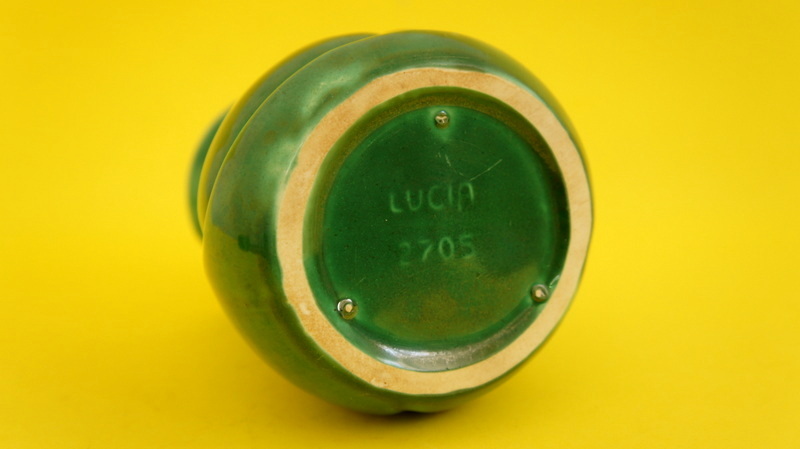 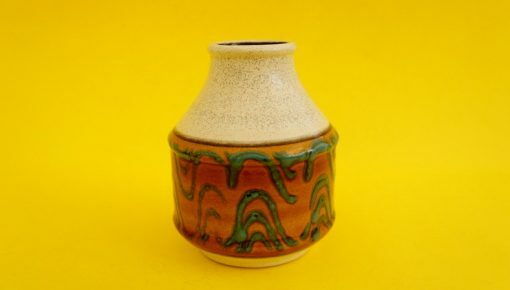 And finally we have our little Lucia ware vase – again it’s very small, but very sweet with that classic Lucia green glaze, and a lovely swirl in the design of what’s otherwise a very simple piece of vintage South African pottery.